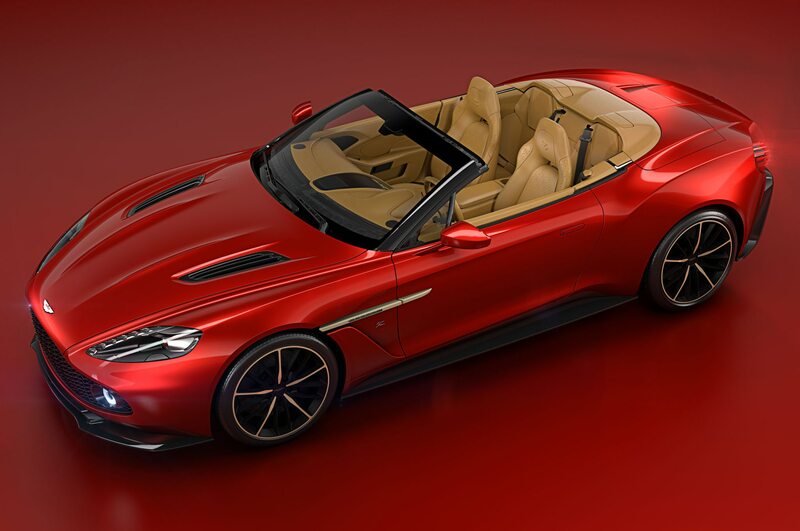 Aston Martin announced it would produce 99 copies of the striking Vanquish Zagato earlier this summer. 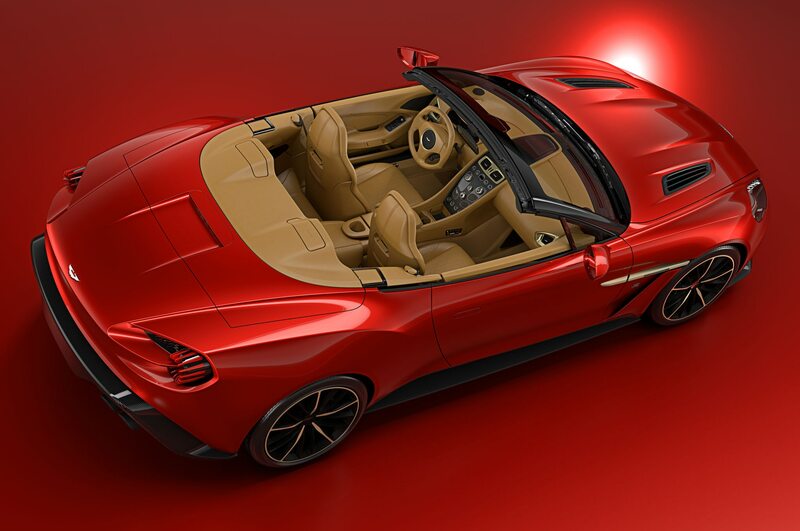 Due to popular demand for the coupe, Aston Martin will offer the same number of copies of a roadster version: the Aston Martin Vanquish Zagato Volante. 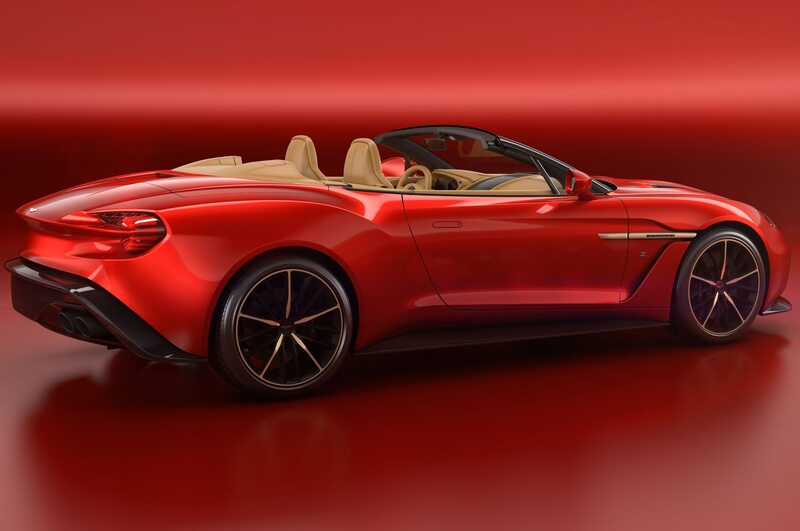 The Zagato Volante debuted this week at the Pebble Beach Concours d’Elegance. 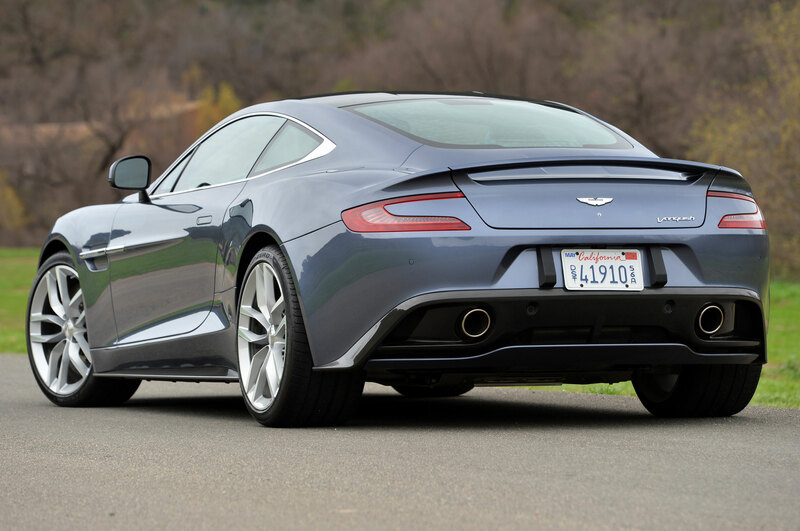 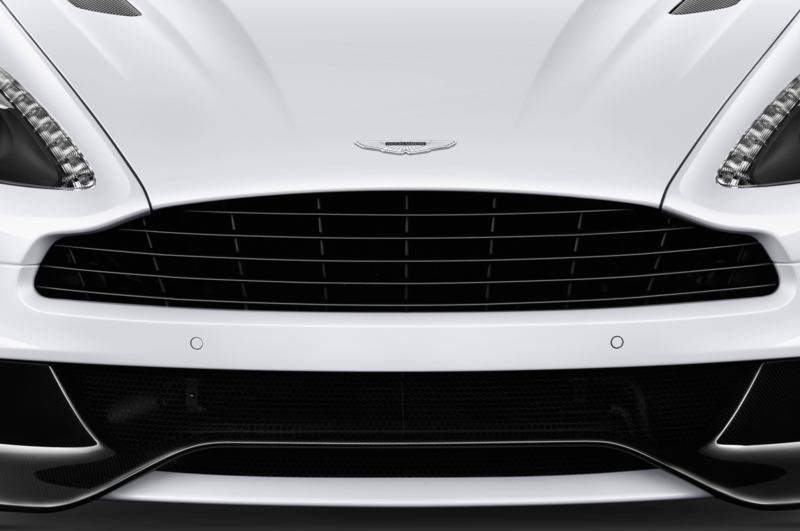 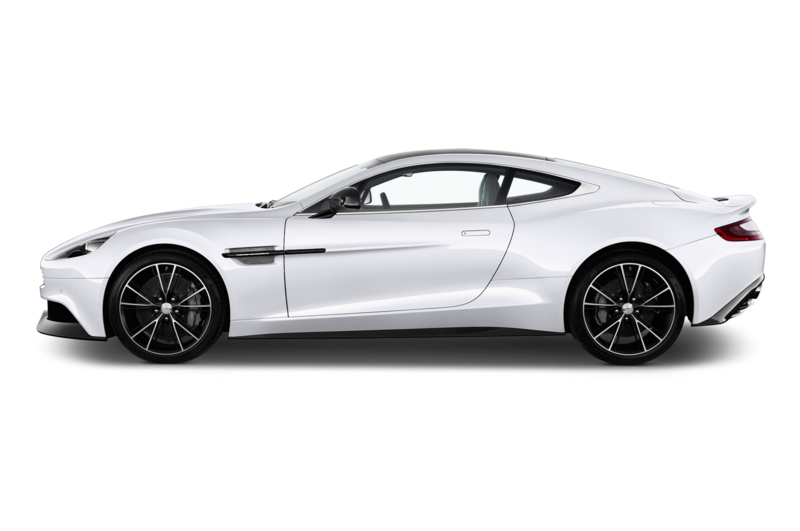 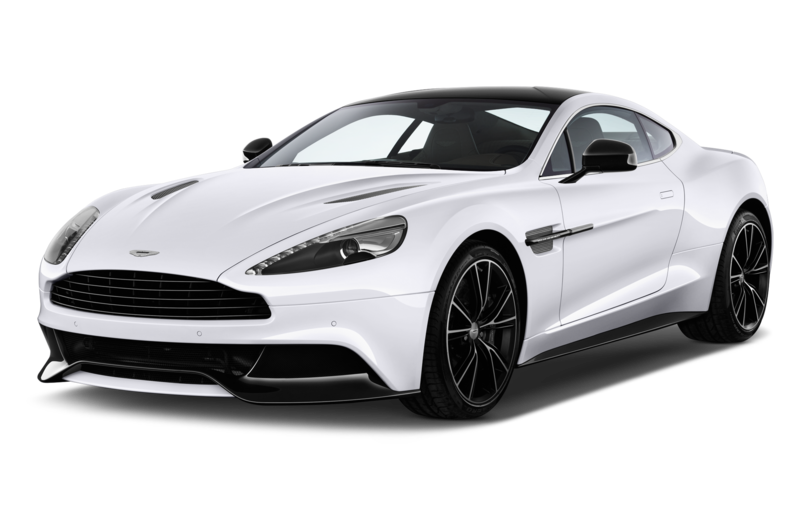 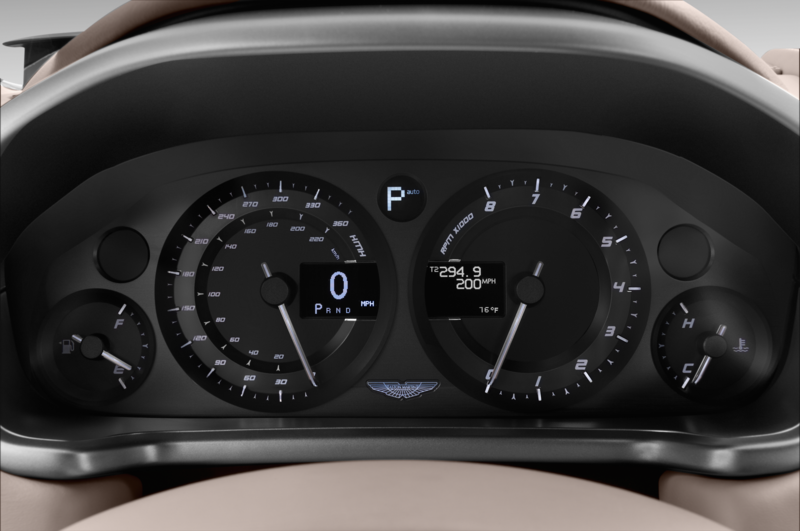 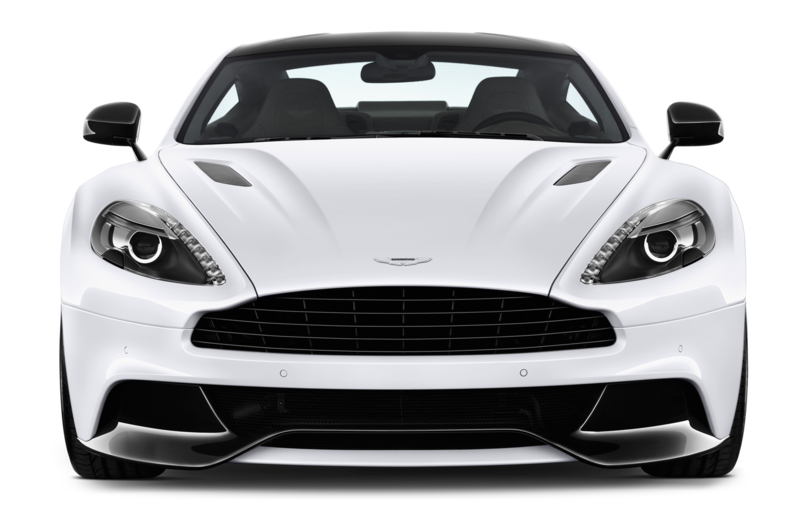 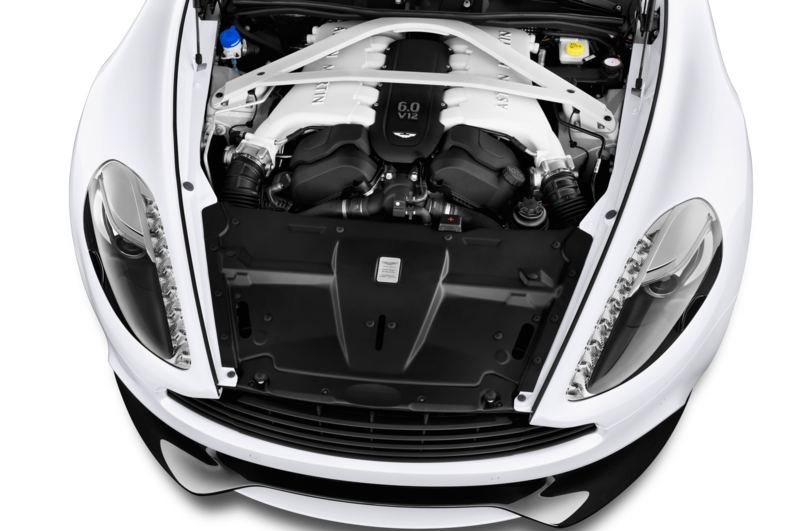 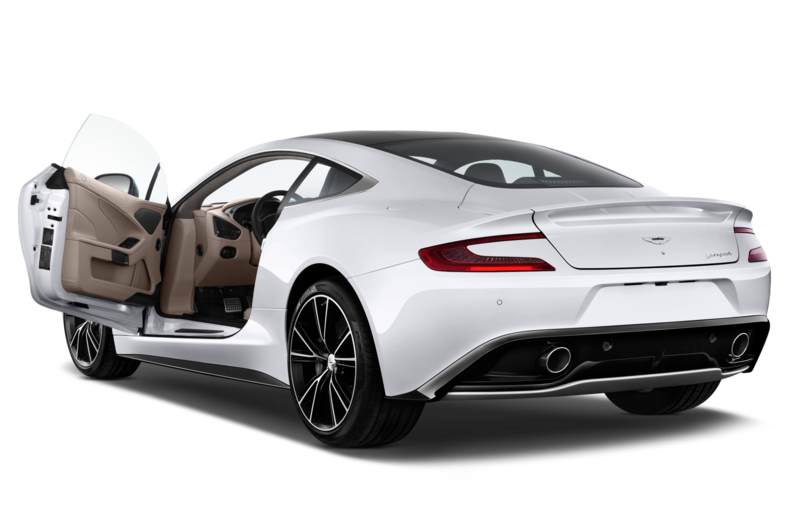 Just like the coupe, it features a more powerful version of the Vanquish’s 6.0-liter V-12 rated at 568 hp. 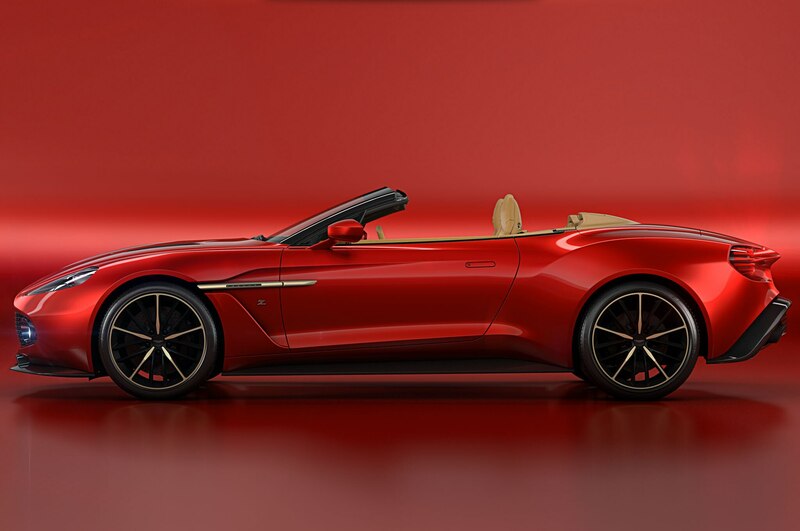 The roadster produces 592 hp and is estimated to hit 60 mph in 3.7 seconds. 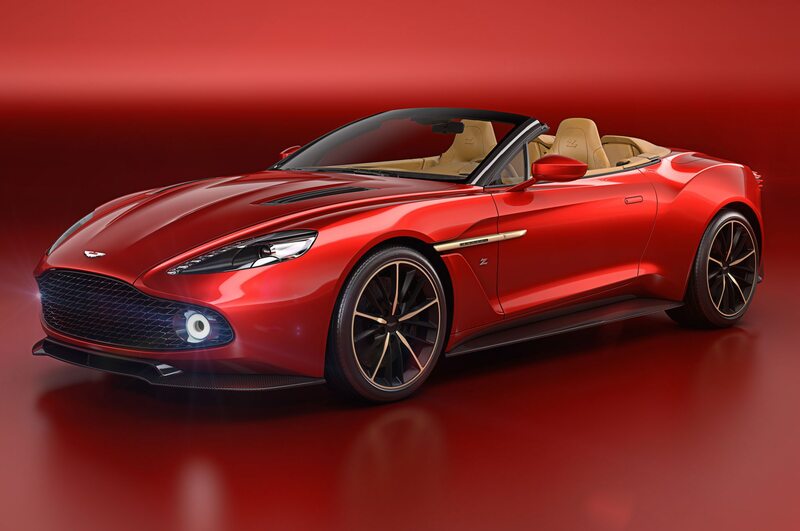 That’s 0.2-second slower than Aston Martin’s original estimate for the Zagato coupe. 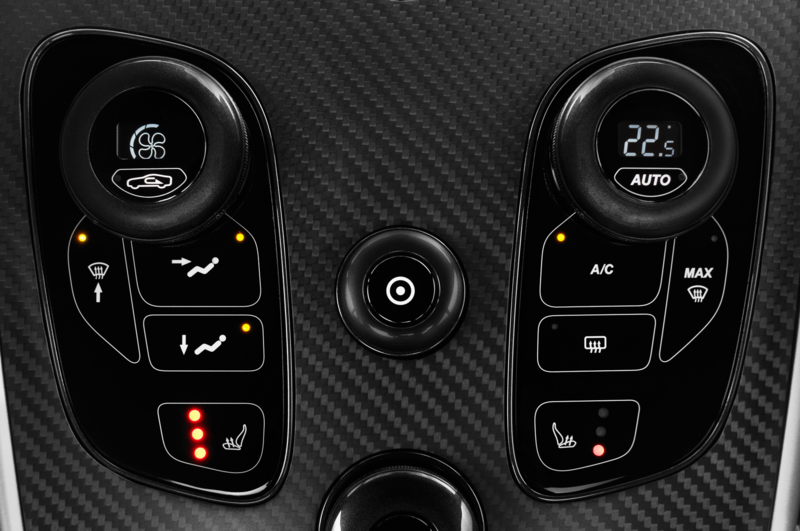 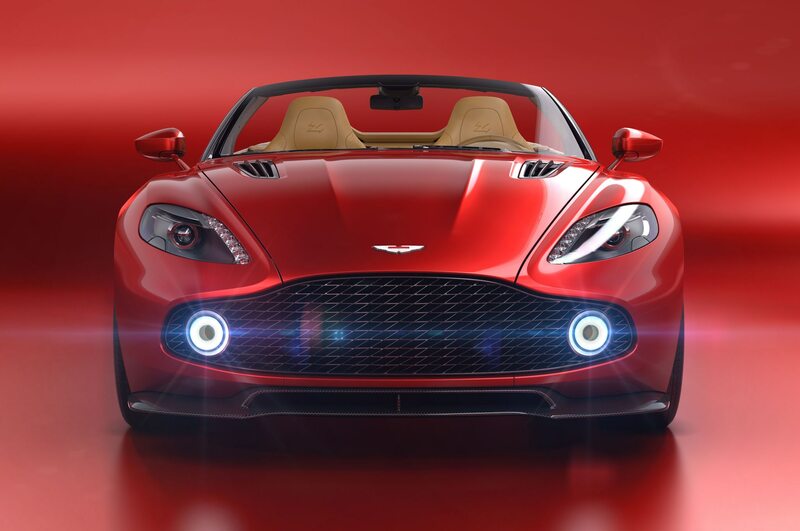 Aston Martin’s latest roadster features LED lighting and carbon fiber sills around the lower edge of the body. 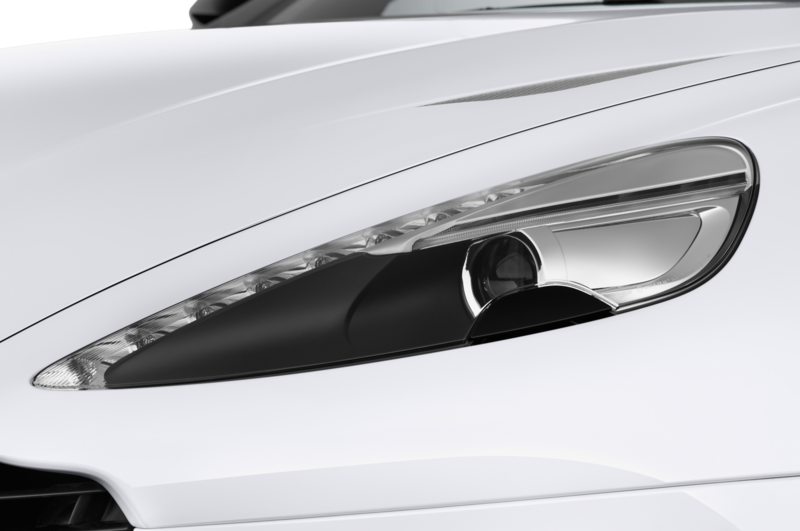 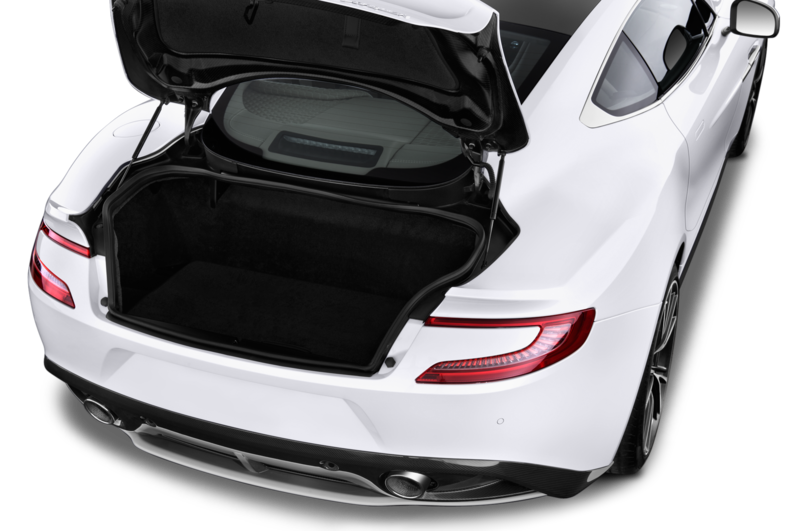 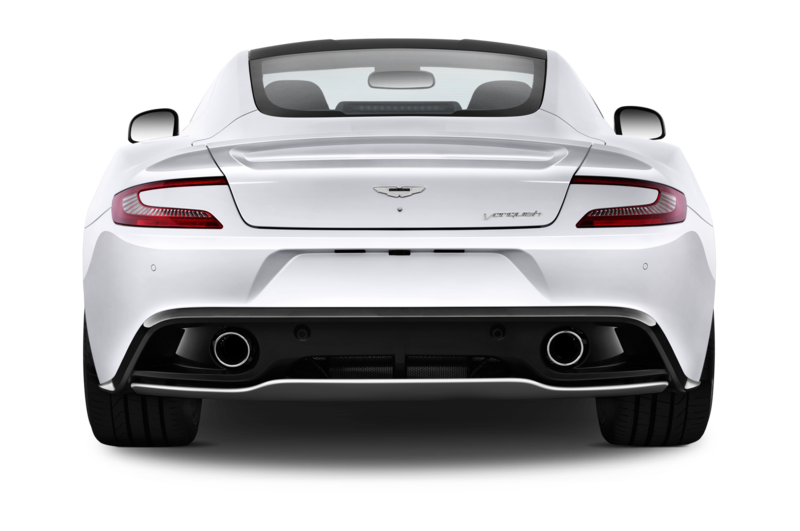 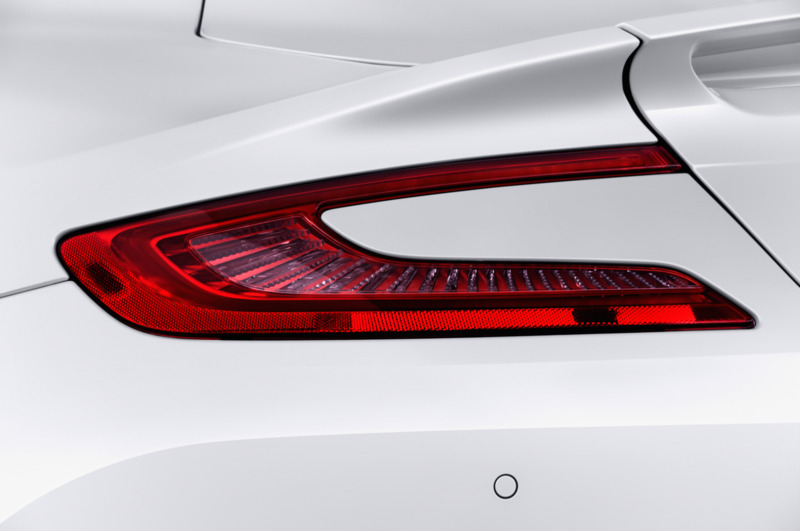 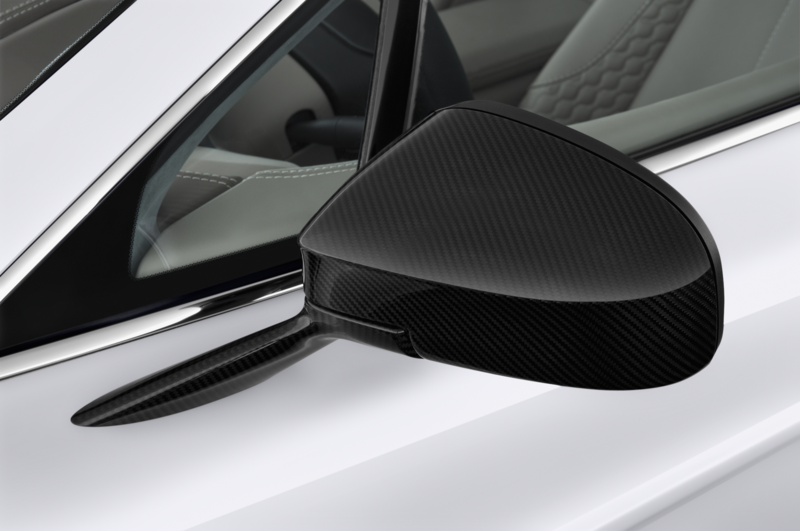 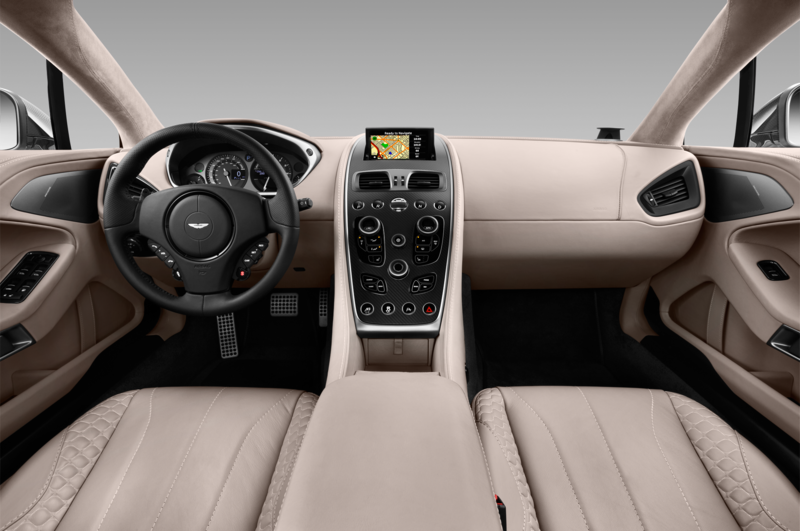 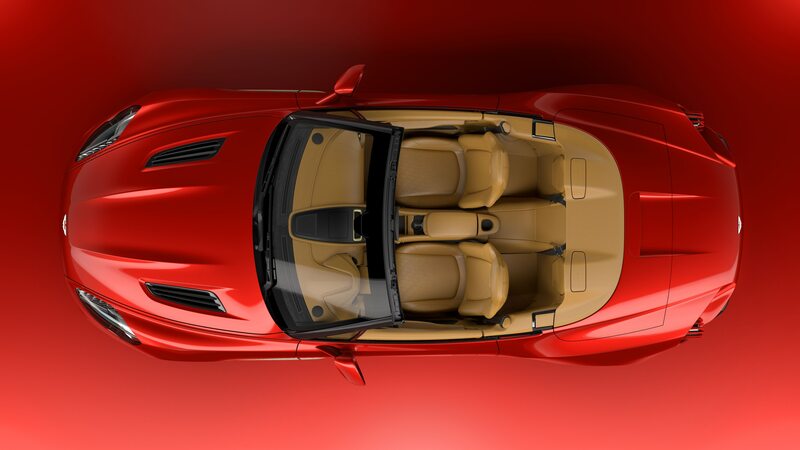 Twin cowls on the rear deck blend into the beginning of the cargo area, concealing a folding hood derived from the mechanism used on the standard Vanquish Volante. 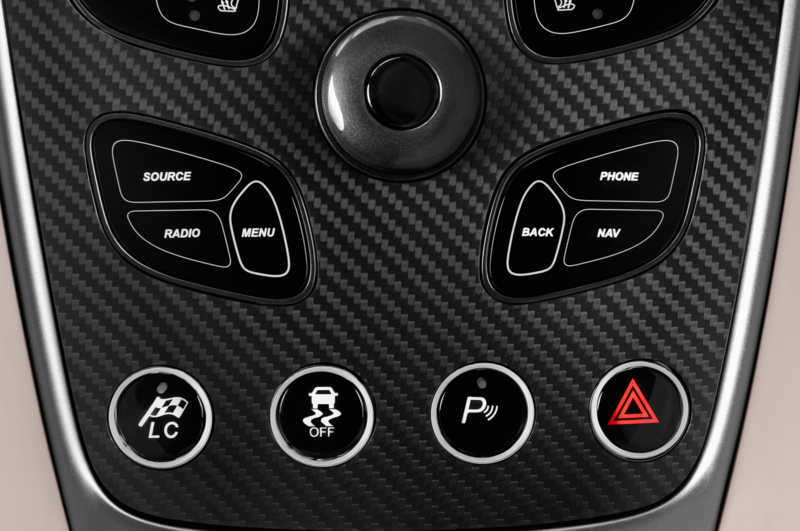 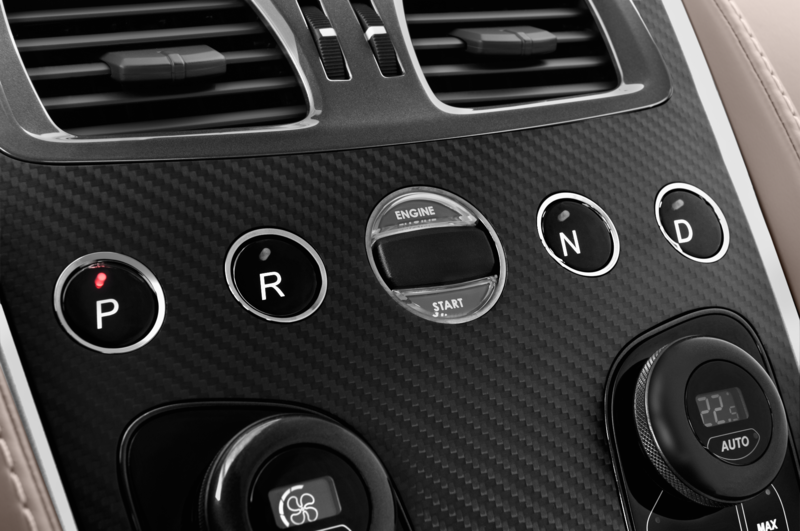 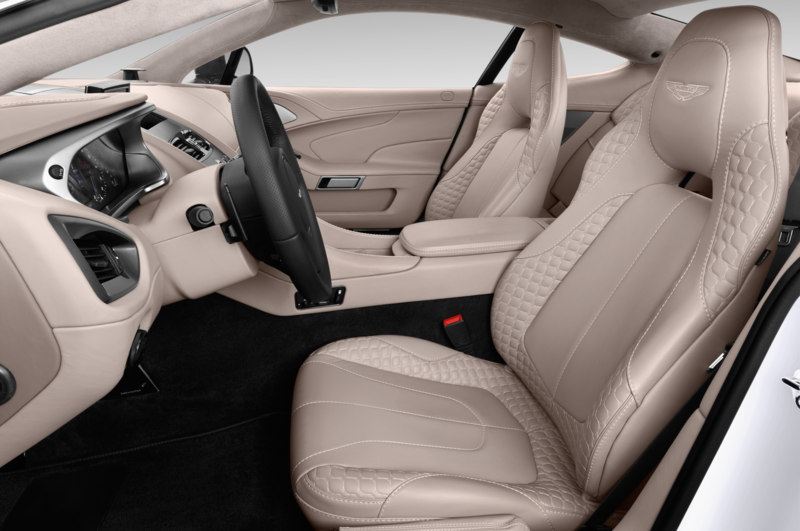 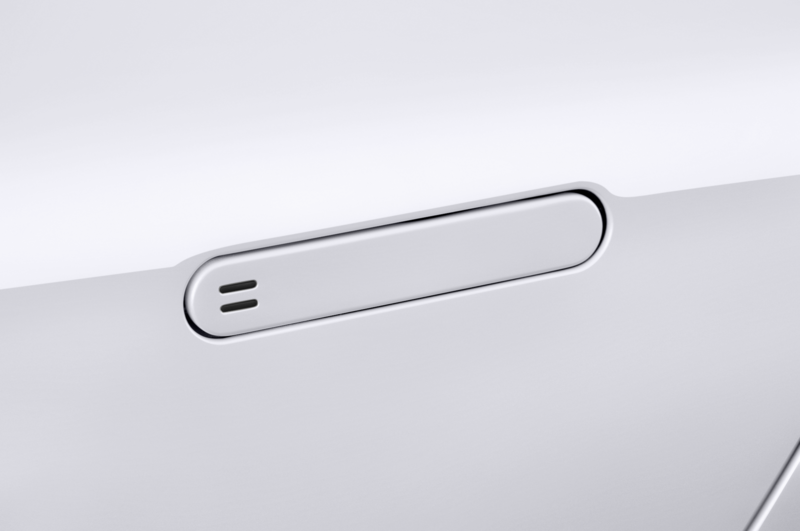 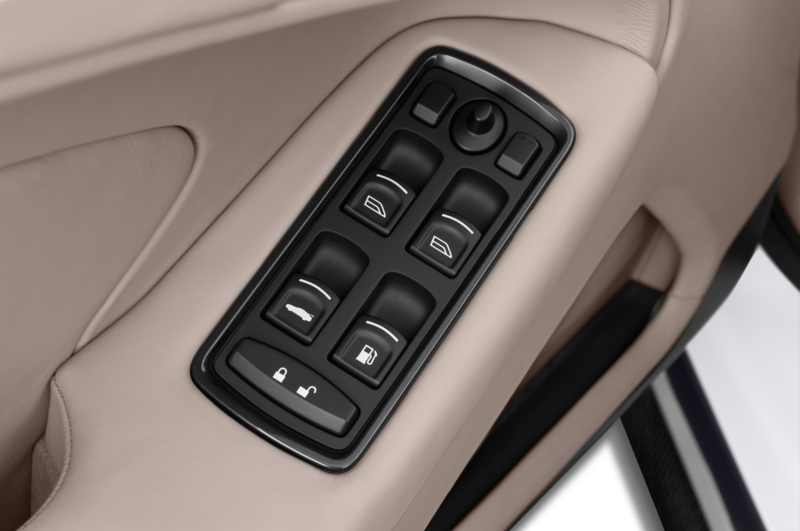 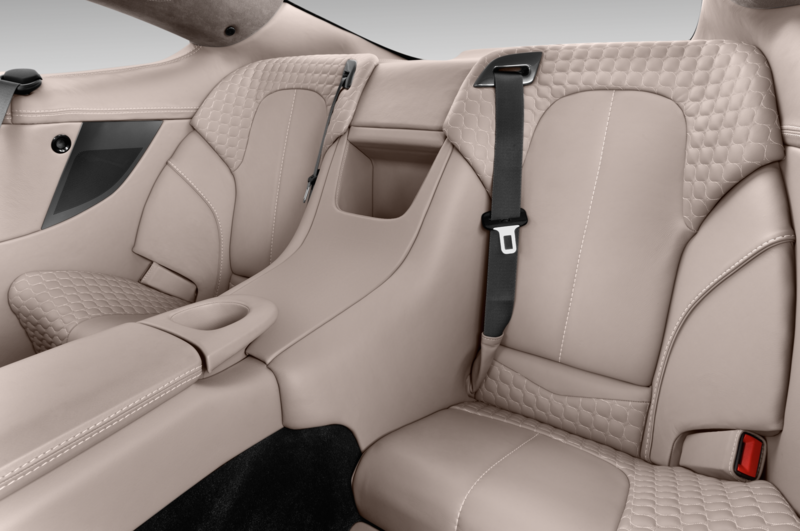 Inside the cabin, you’ll find “Z” badging on the headrests and center console. 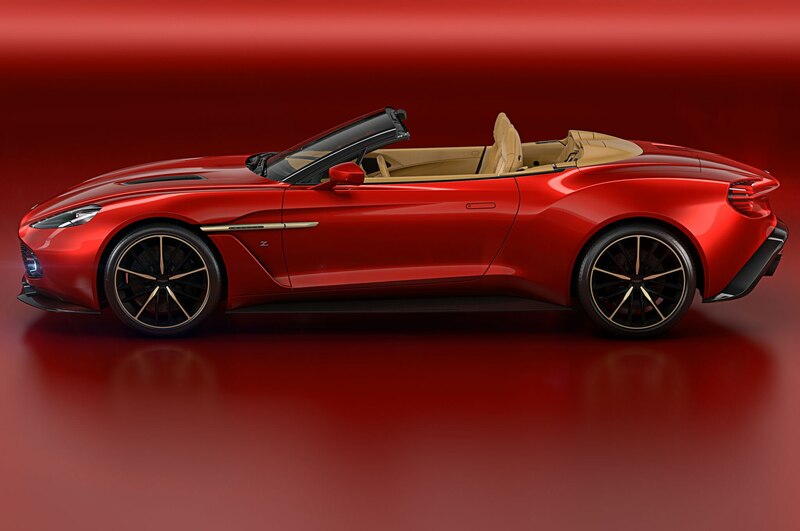 Buyers can specify their Zagato Volante with a number of features available from Aston Martin’s “Q” personalization division, including herringbone carbon fiber, Bridge of Weir leather, and anodized bronze accents. 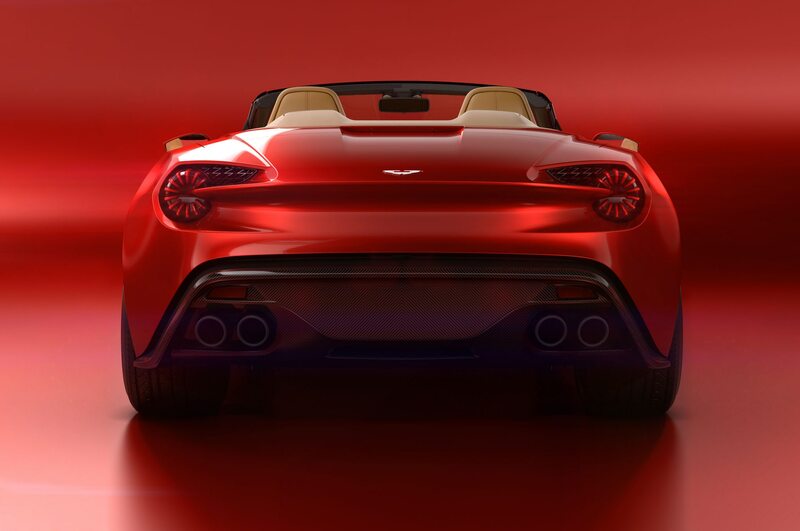 Deliveries for both the coupe and roadster begin next year. 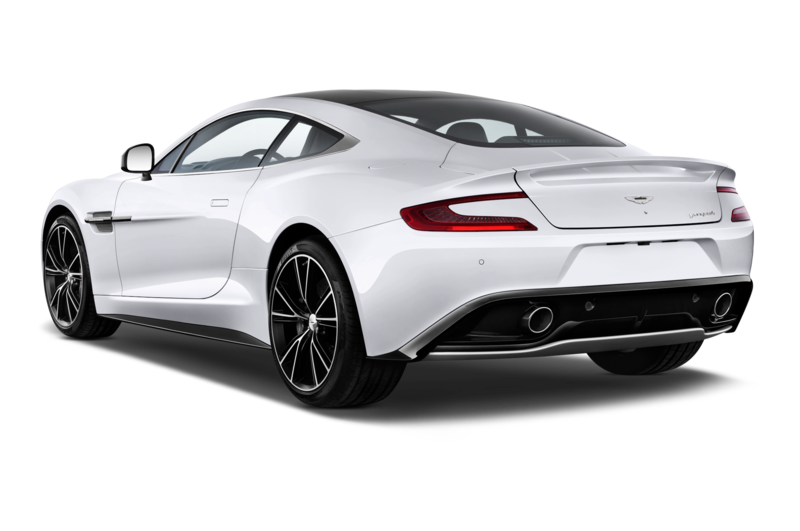 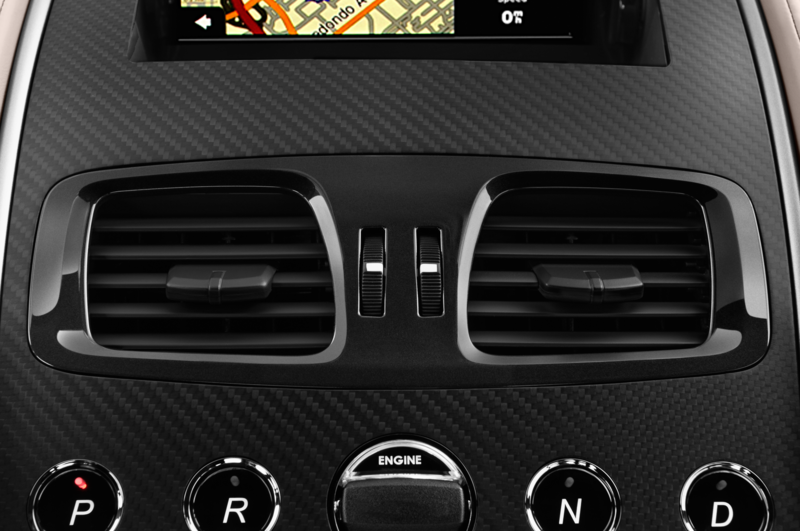 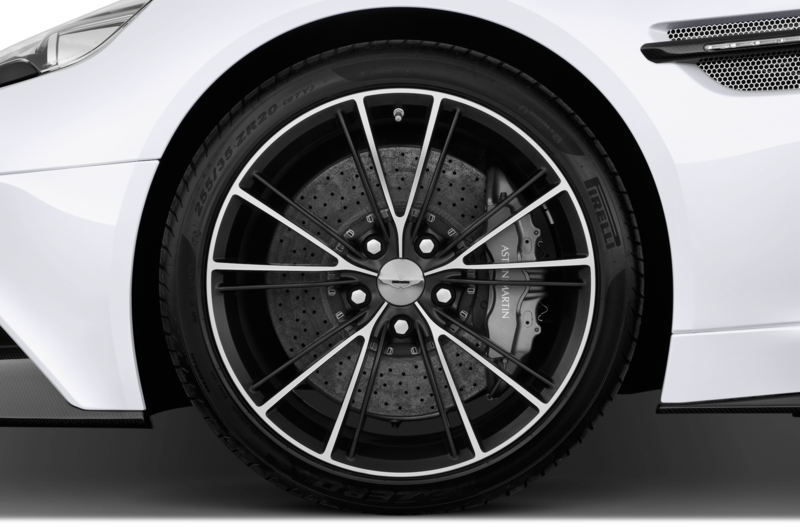 All copies will be built at Aston Martin’s headquarters in Gaydon, England.